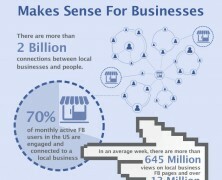 Home »Posts Tagged "Social Marketer"
Facebook is the most popular social network in the world, filling a need of users to connect with others and build relationships. Marketers on the other side feel very happy to know that their prospects are just some clicks away. Social media marketing is time-consuming and may easily get you off the track. Doing some time management and prioritizing tasks on social channels are key to successful social media strategy. 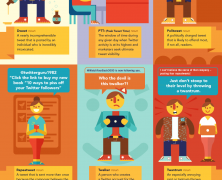 See how you can cut through the social media “wall”. With the advent of online media, Marketer’s profession has undergone notable changes in terms of skills and duties. Modern marketer has to put his/her feet in two boats, the artistic one that covers the creative part and the scientific one that sails in the sea of numbers. It’s not about a personality split but rather a mindset combination. 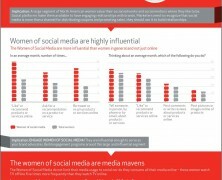 Weber Shandwick in collaboration with KRC Research present some insights about women who are active and enthusiast about social media in an effort to spotlight their importance for marketers as a particularly engageable audience. 2013 is around the corner and it’s time for the most proefessionals to evaluate the gives and takes of their efforts. On this report you will find the pulse of social marketing landscape as recorded from 469 marketers surveyed by Awareness Inc.
What the customers say what the marketers think. This report brings to light the communication gap between the two sides of market. The majority of the marketers feel they know what their cistomers want while just 1/3 of them have listened what they say. Hello!!!! Do you read me?